William Nicholson's Tony-nominated play Shadowlands, which tells the story of the unlikely love between Christian writer C.S. Lewis and the much younger, brash, Jewish New Yorker Joy Davidman, is back off-Broadway in a new revival produced by the Fellowship for Performing Arts. 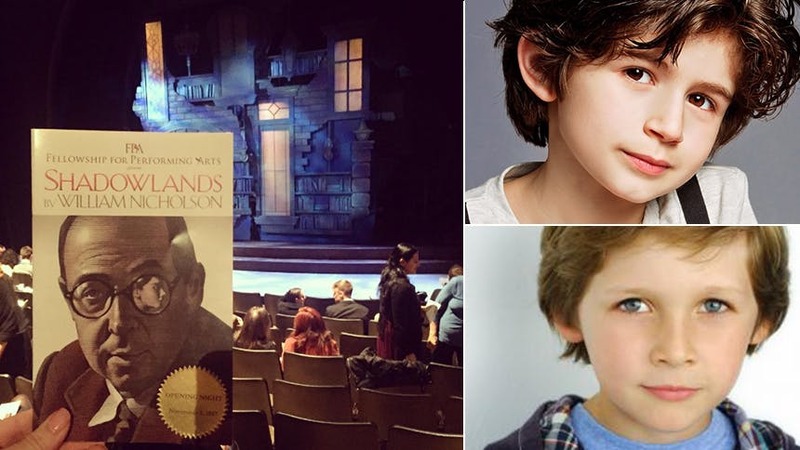 For the play's opening night at Theatre Row, the show's two young stars Jacob Morrell & Jack McCarthy (who share the role of Joy Davidman’s son, Douglas) took over the BroadwayBox Instagram. Check out their story and posts below, and see them live through January 7, 2018. Don't miss Jack McCarthy & Jacob Morrell in Shadowlands at off-Broadway's Theatre Row's Acorn Theatre through January 7, 2018.